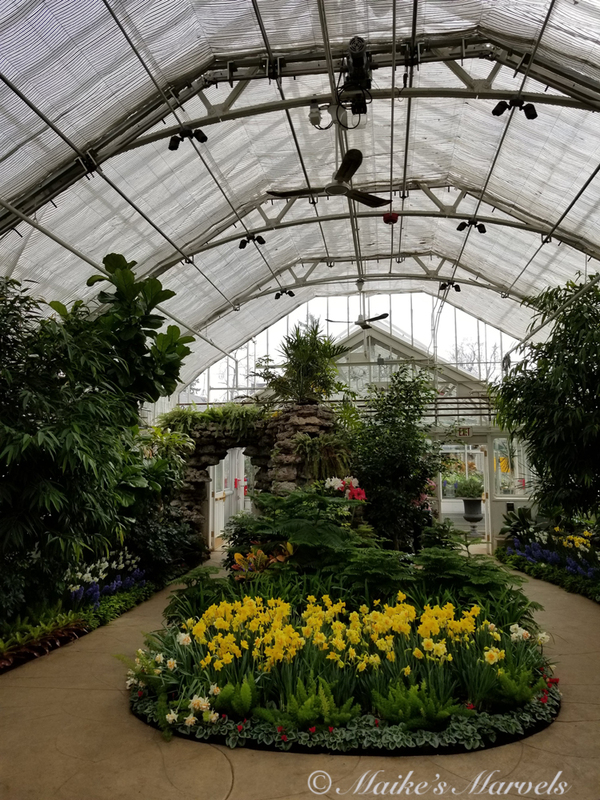 While I was in Elmhurst, the temperatures were still fitful, but I did want to explore some of the outdoor attractions nearby. 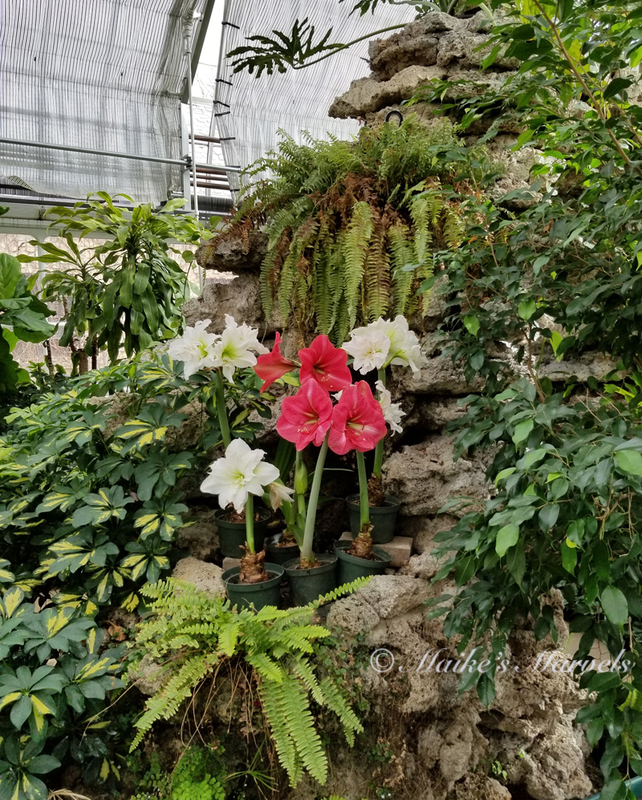 On my museum day in Wilder Park I popped into the Wilder Park Conservatory. 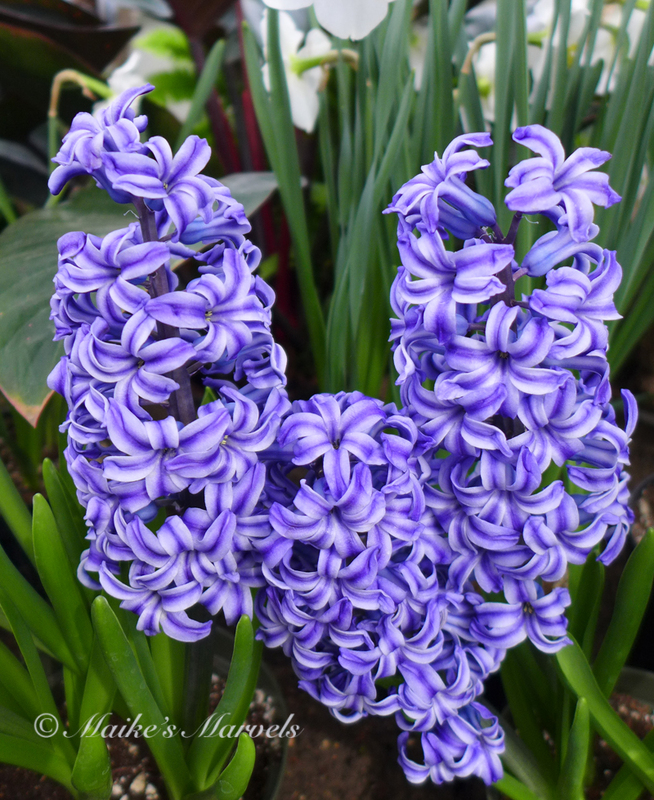 The charming greenhouse was filled with the fragrance of Hyacinths. 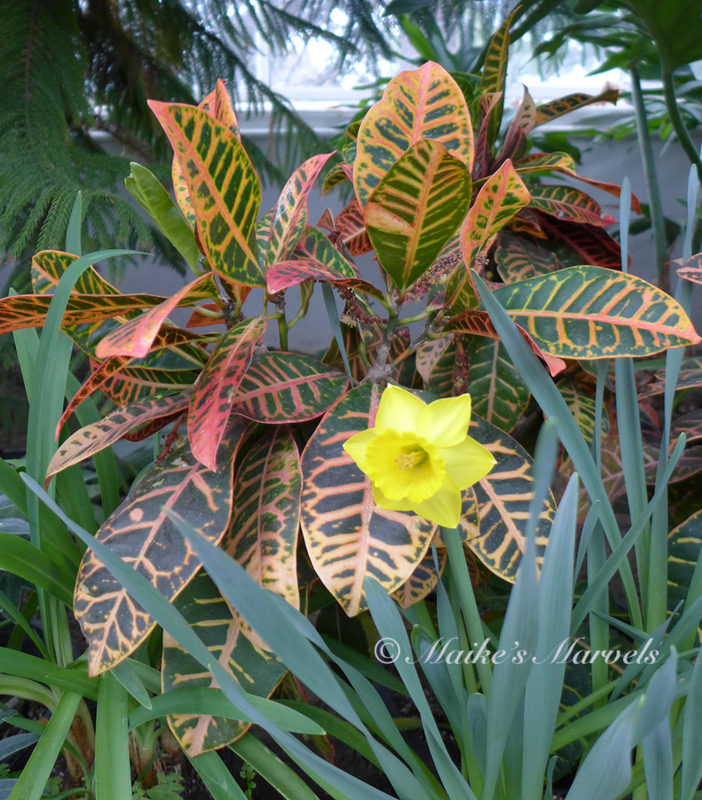 Narcissi gave me hope for Spring. 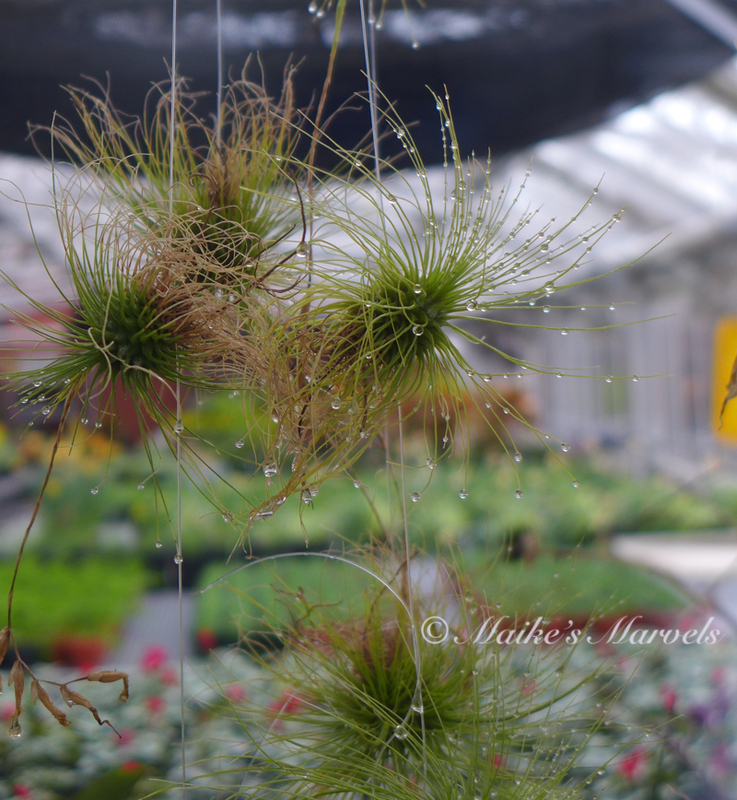 The off-limits airplants had just been watered. I enjoyed this little haven of peace. On another day I explored York Woods, simply based on proximity of forest preserve. 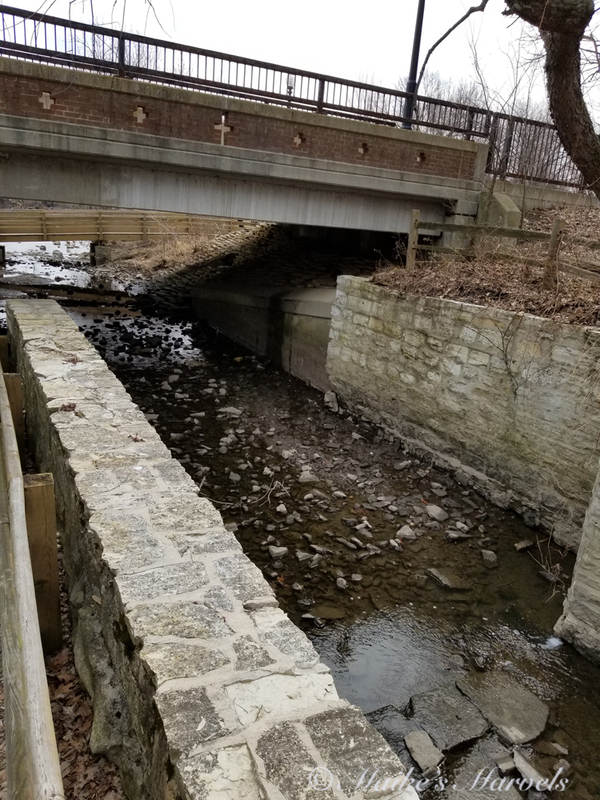 This park is part of the Salt Creek Trail, a 26-mile hike from Brookfield to Elk Grove Village. The paved trail in York Woods is less than a mile, but will make for a fun circuit when the Trees (mostly oaks) and Shrubs are more luscious. Apparently this is DuPage county’s first forest preserve, established in 1917. I enjoyed the concert of birds and frogs, but the lack of foliage also made the nearby highway noise a constant companion, so not quite the woodsy excursion I was hoping for. 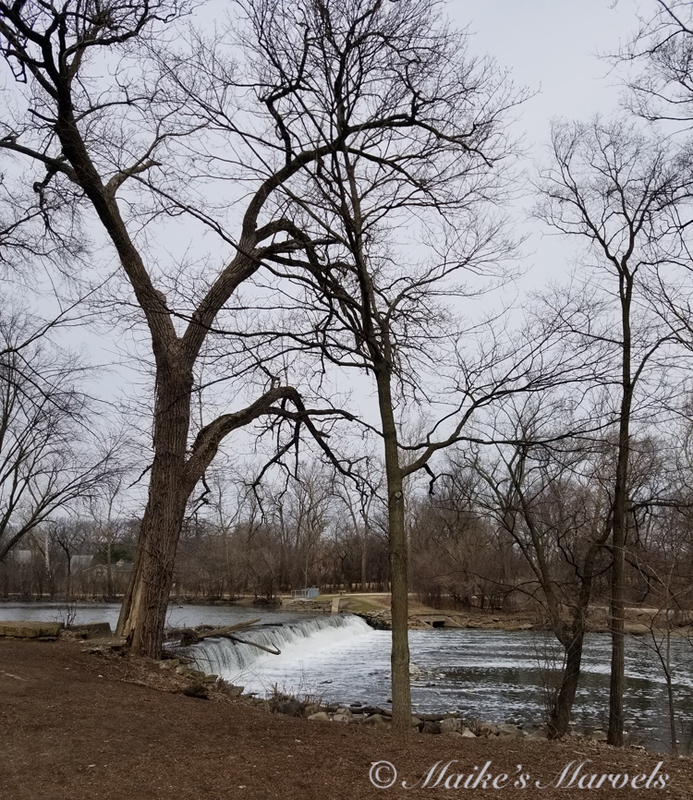 I wanted to find another trail to stretch my legs, and as I looked at the DuPage county map noticed Graue Mill, which intrigued me. 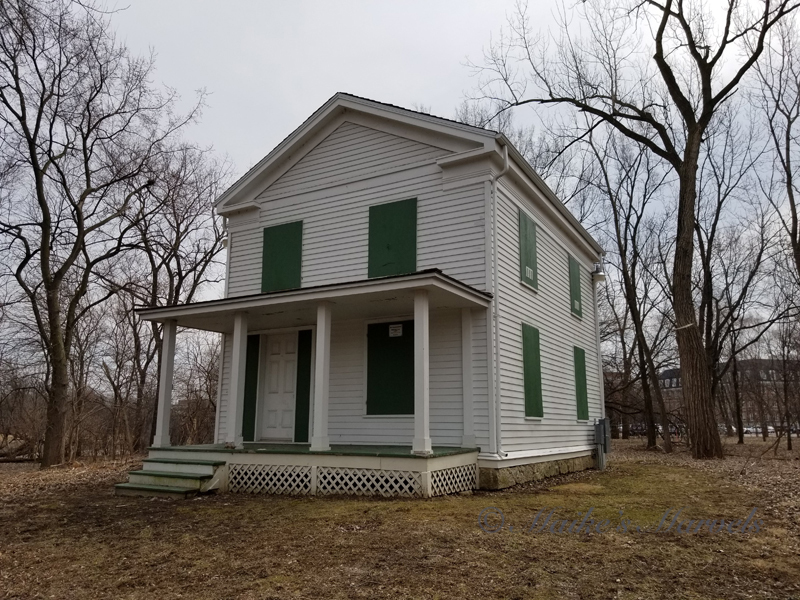 A quick drive took me to Fullersburg Woods, where I parked in front of a historic building. The Benjamin Fuller house is apparently the oldest remaining example of balloon frame construction. This style was popular in 1830-1860, using using cheap, machine cut 2x4s rather than hand hewn timber. 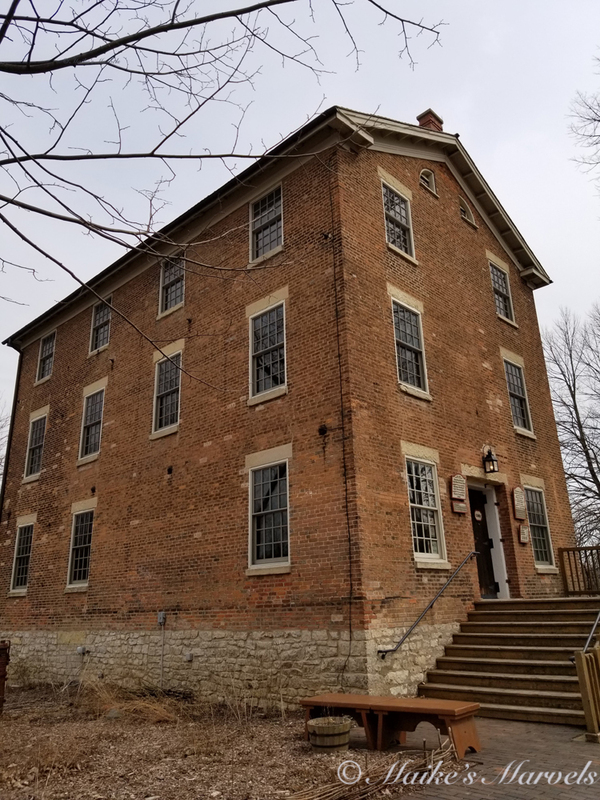 I crossed the street to peruse the Graue Mill, which was closed this early in the year. 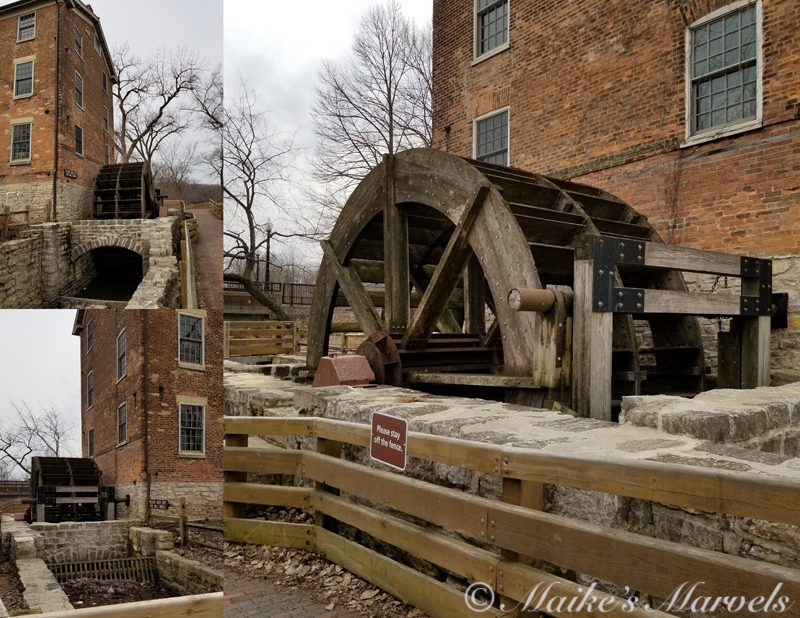 Graue Mill is the only operating waterwheel gristmill in Illinois in its original spot. 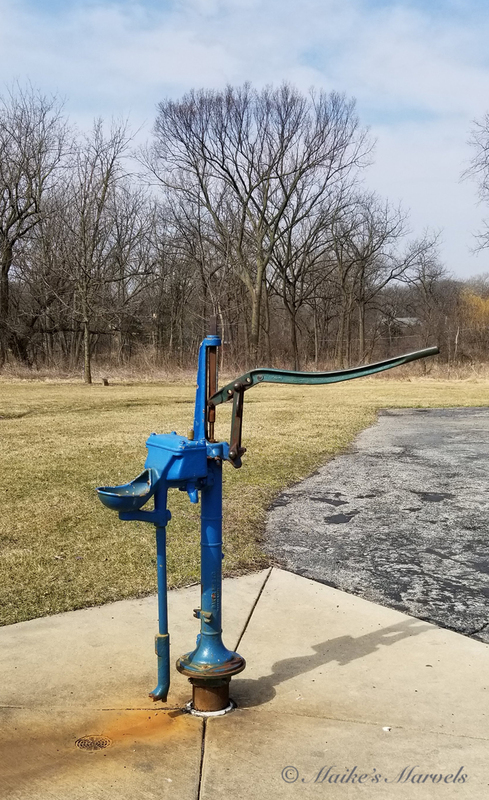 Visitors can tour the historic building and see its operating waterwheel from mid-April to November. Frederick Graue bought the site in 1842 and used the mill to grind corn for cornmeal in 1852. It operated 70 years, and is also a former “underground railroad” station. Located at 3800 York Road, the mill is open daily Tuesday ‒ Sunday 10 a.m. ‒ 4:30 p.m. during its April-November season. 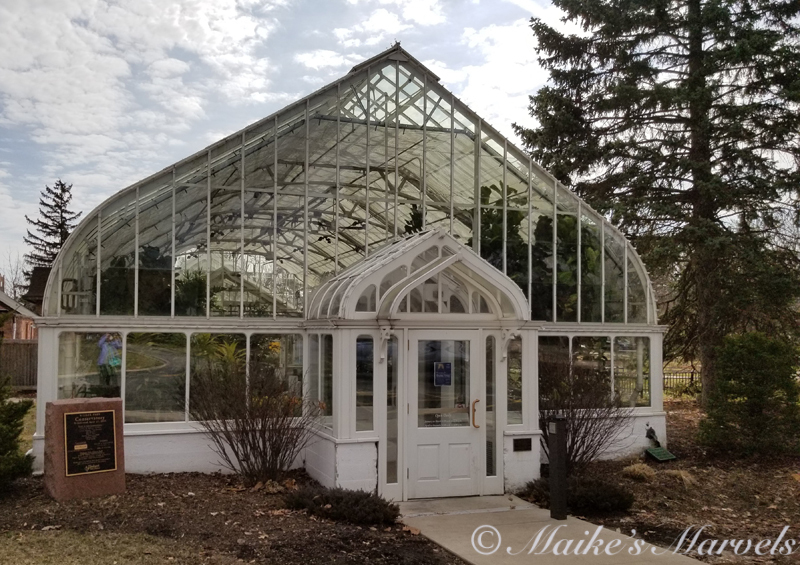 This entry was posted in Nature Photography, Travel and Excursions and tagged Ben Fuller House, DuPage County Forest Preserve, Elmhurst excursion, Elmhurst IL, Graue Mill, Wilder Park Conservatory, York Woods.